Contact us to arrange a time to discuss your yacht delivery requirements. A few of the yachts delivered so far in 2019. 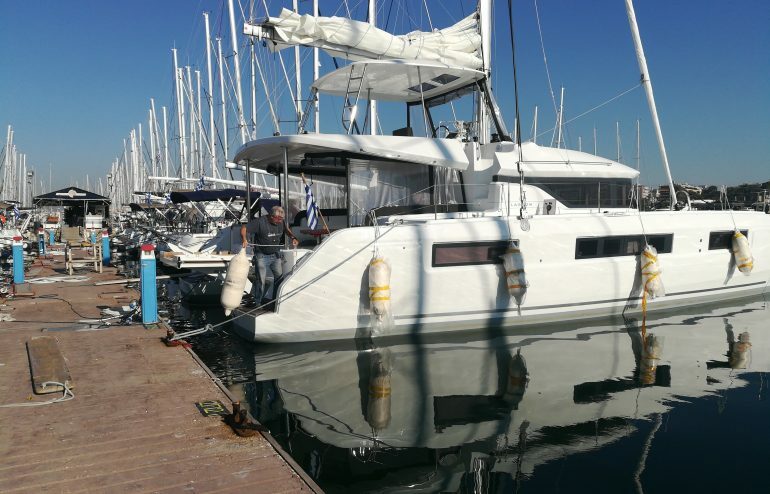 The next Lagoon 50 under contract with Reliance Yacht Management was delivered to Athens this week. 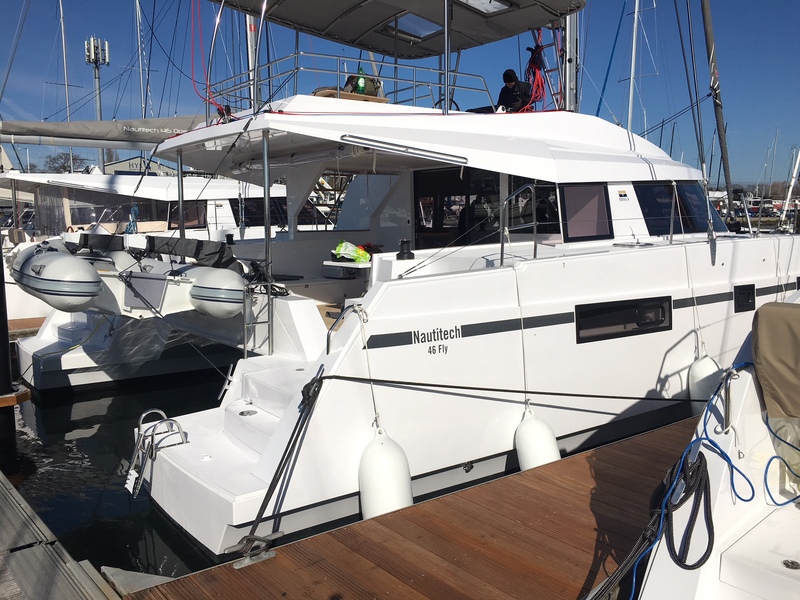 With little preparation required she will go into charter and start generating an income for her owner ASAP. She was collected from Bordeaux, France where she was launched, commissioned and prepared for delivery. Leading delivery Captain Lionel Lebrenn and the crew departed France on the boat’s maiden voyage. The yacht arrived in immaculate condition. 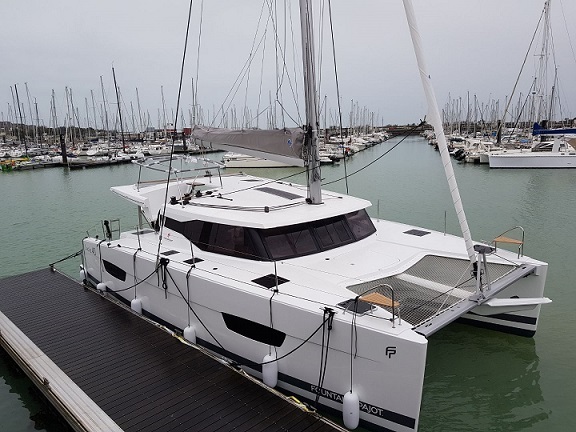 5 more Lagoon catamarans for the same charter fleet will be delivered by Reliance yacht Management over the next few weeks. Contact nick@reliance-yachts.com for a competitive and commercial delivery quote. 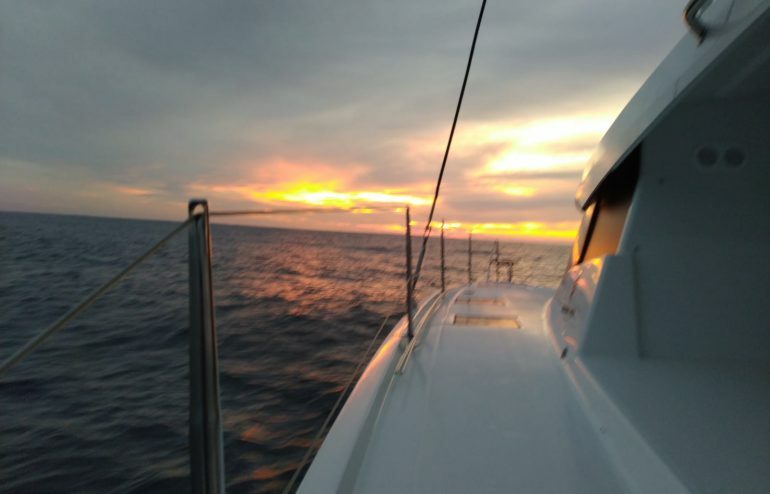 Captain Philippe Hoebeke and his crew aboard the Fountaine Pajot Lucia 4o arrived in Tenerife to complete the second leg of the delivery from La Rochelle to St Martin. They made excellent progress from their last port, Cascais in Portugal. The crew send this short video of the voyage so far. 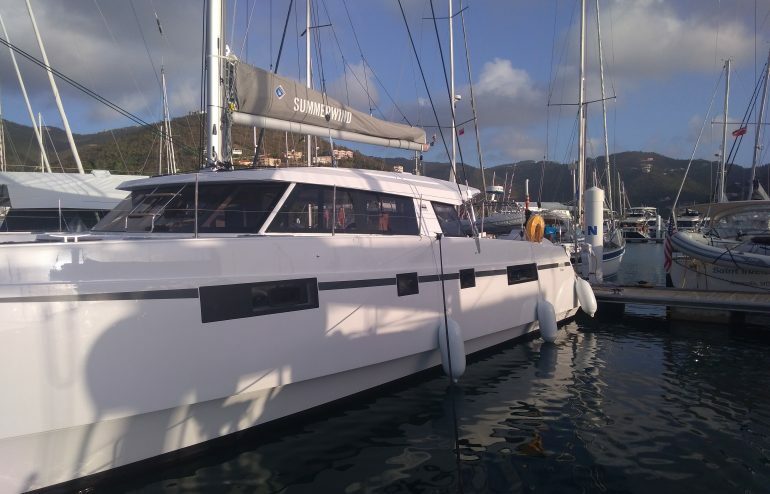 The last of 3 recent Nautitech 46s under contract with Reliance Yacht Management was delivered to Tortola this week. 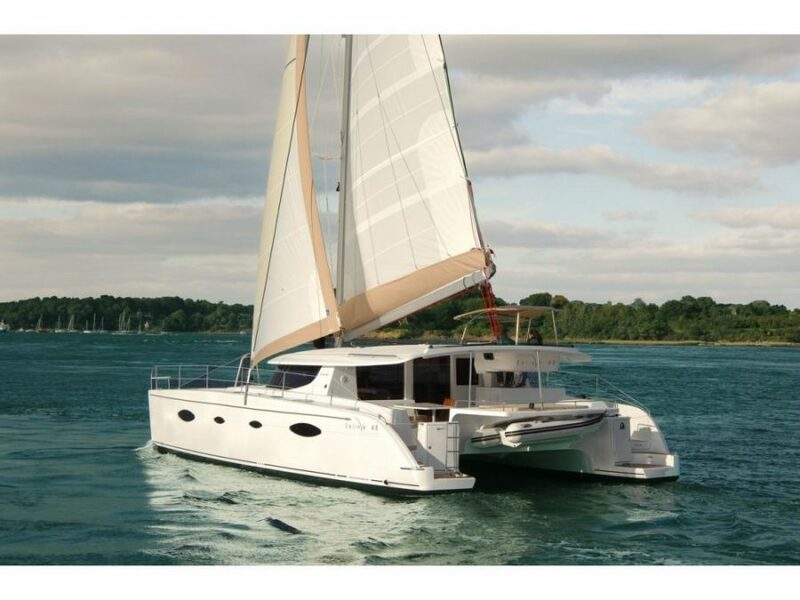 Summerwind was collected from La Rochelle, France where she was launched, commissioned and completed Quality Control. Leading delivery Captain Nicolas Boutteloup and the crew completed their preparations, departed France on the boat’s maiden voyage. 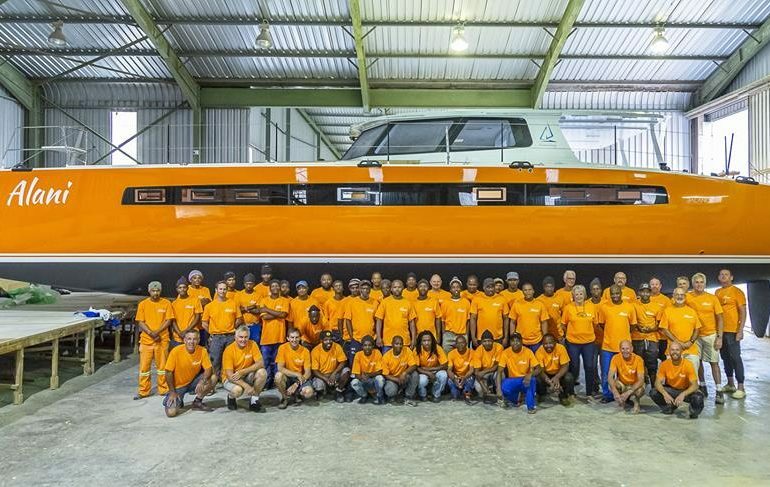 The proud owner was in France to see the start of the delivery and he was there in Tortola to meet the crew on completion. The yacht arrived in immaculate condition. 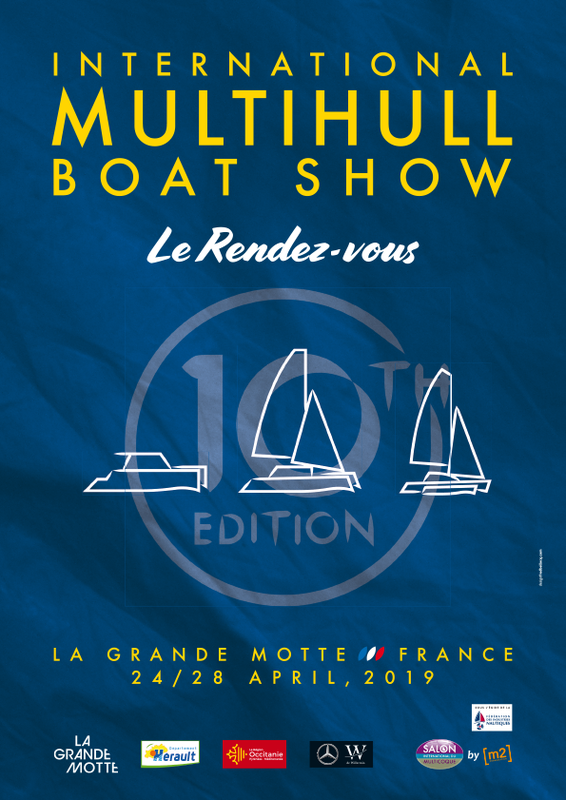 The other 2 Nautitech 46 catamarans on delivery at the same time were Razzmatazz from Tortola to Miami Boat Show and Hull #85 France to San Francisco. The Nautitech 46 Razzmatazz completes its delivery from the Virgin Islands to the Miami Boat Show. 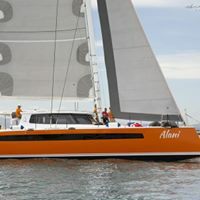 Reliance Yacht Management was contracted by Horizon Yacht Charters to ensure this beautiful catamaran arrived in perfect condition and show ready. Many thanks to the delivery team Bruce, Kelly and Danielle for a great job, well done.